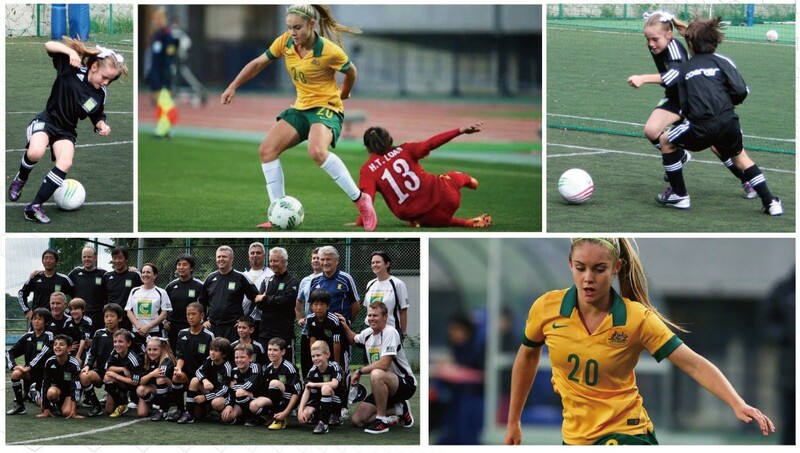 Coerver® Coaching ACT caught up with former Coerver® ACT Kid Ellie Carpenter to get an insight into her experience growing up with Coerver® Coaching ACT, Ellie recently signed on for her second season at Canberra United. CC. We remember you as a young girl beginning at Coerver Coaching ACT at just 4 years of age with your brother Jeremy. Can you recall your first Coerver experience? EC: Yes definitely. Football has taken me to places I never thought I would go and I've met so many fantastic people through football! It has exposed me to so many different learning experiences. CC. You spent 5 years at Coerver Coaching ACT how did the Coerver program improve your game and what is it that makes the Coerver program so unique? EC: Coerver gave me the skill I needed to be competitive, especially in the boy's teams I was a part of. It also taught me about discipline and being thorough with preparation. EC: There are so many great memories associated with my time at Coerver. From the fun trips to Canberra with my family to the tour in Japan! I especially loved making the DVD's at the AIS and when I was in Japan. CC. What are some of your best memories from your time at Coerver Coaching ACT? EC: The fun we had and the rapport we developed with all the coaches there. Jason, Bugsy and Adrian had a big influence on my brother and I.
EC: I love Japan. When I knew the Olympic Qualifiers were in Japan and that I had been selected, I knew I would feel at home there because I had been there for the Coerver tour and also to visit my brother who spent time playing and going to school over there. CC. The Coerver Coaching ACT program has been a strong advocate for women’s football with one of our Ambassadors being one of the greatest female footballers of all time Kristine Lilley, what advice would you give to our young Coerver girls in our programs? EC: To listen to the coaches and to try and do everything to the best of your ability! Thank you Ellie and we wish you all the very best for your upcoming W League season.